Students give a "thumbs up" after completing their presentations. Space Systems Group President Frank Culbertson was one of two former astronauts to address the students during the weekend. 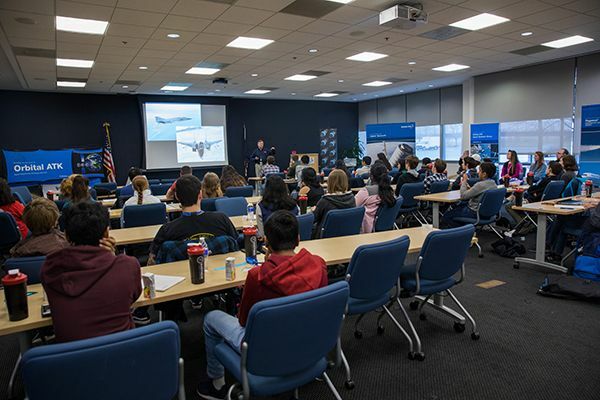 His "Aviate, Navigate, Communicate" presentation explained how what he learned during his collegiate, pilot, and astronaut experiences directly applies to everyday life. He shared numerous personal experiences and encouraged students to dream, plan, and achieve during presentations on Saturday and Sunday. Senior Director of Operations for Commercial Resupply Services Rick Mastracchio, also a former astronaut, addressed the students and highlighted the scientific importance of living and working on the International Space Station. Frank Culbertson speaks to students about his military career as a Navy Test Pilot. 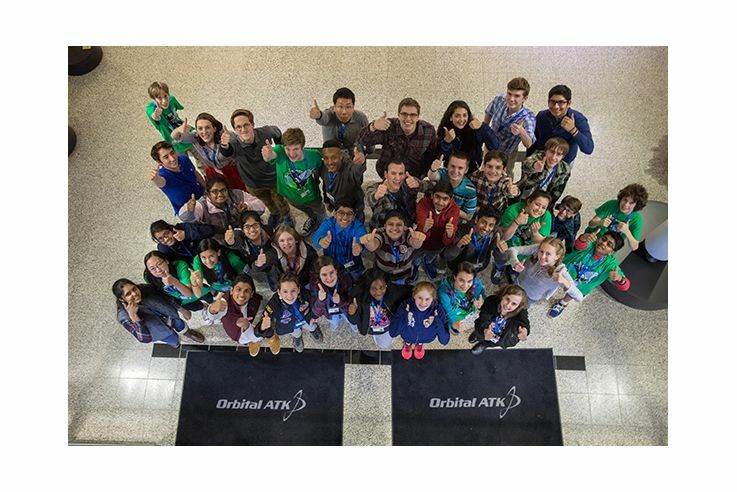 The main event of the "Go For Launch" weekend focused on developing student teams to design space experiments which could potentially fly on Orbital ATK's OA-10 mission to the International Space Station. 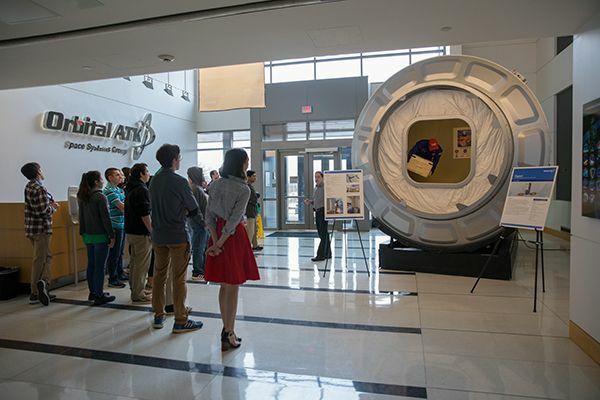 For the competition, each team presented their concept and experiment to a panel of judges composed of highly-regarded members of the space community, including Orbital ATK employees. After hearing the innovative ideas from nine groups, the judges selected "Team Waffle House" as the winner. 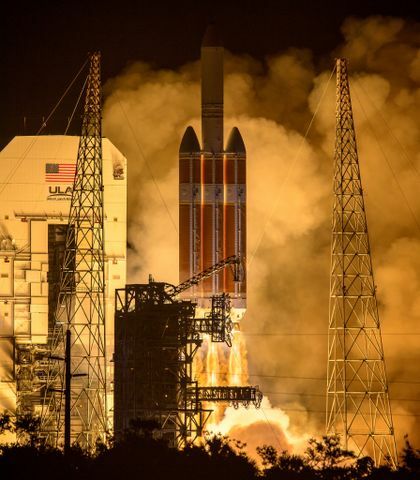 Their experiment explores whether self-healing composite materials work the same way in a microgravity environment as they do on earth. 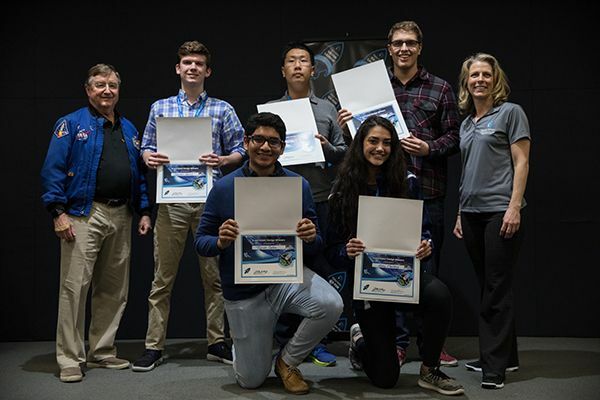 "Team Waffle House" shows off their award for winning the Dulles, Virginia, "Go For Launch" event. 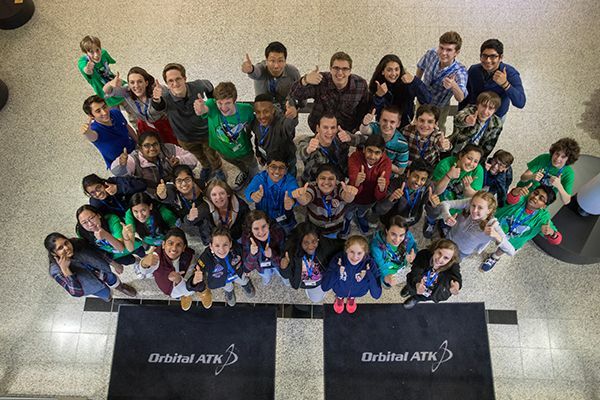 (Left to right: Frank Culbertson, winning students and Michelle Lucas, Founder and President of Higher Orbits). "Team Waffle House" will now place its experiment in competition against winning teams from San Diego, California; Gilbert, Arizona; and Houston, Texas. 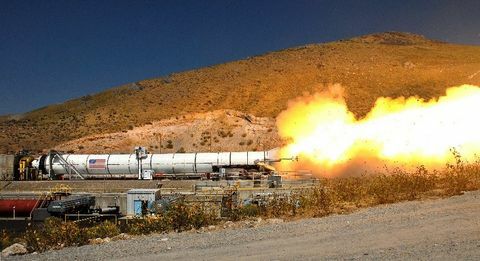 The winner of that divisional title will have the opportunity to see their experiment launched into space on Cygnus in 2018. 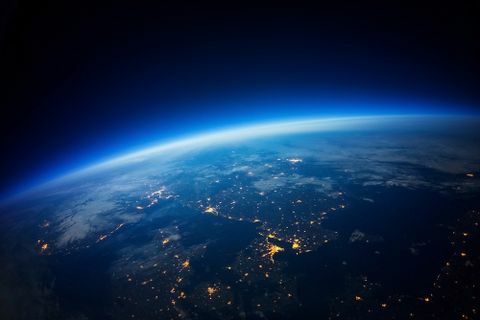 For more information about Higher Orbits, click here. A highlight of the event was a quick showcase of Orbital ATK's Cygnus Module and the Mission Operations Center where Cygnus is controlled.